CD-Booklet in german: but you don`t need to speak german to use the CD - start it & jam along! A must for all blues-players ! This CD is a must go for all Blues-lovers! 10 handmade Playalong-Tracks provide an authentically accompaniment. Soloists, no matter which instrument they play, will start new high-altitude flights. 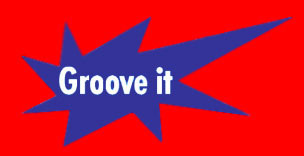 Various Blues-Grooves like the ballad, the shuffle, the Rock-Blues and the New Orleans-Groove have been put together in its typical keys. Therefore, the current range of classical Blues-rhythms is being processed. As some kind of inspiration the CD also includes a couple of Solo-samples. The following harmonies are printed in the CD booklet. More information as well as leadsheets will soon be available on the Tunesday Records Homepage. As a special present 4 bonus tracks have been added to the CD. 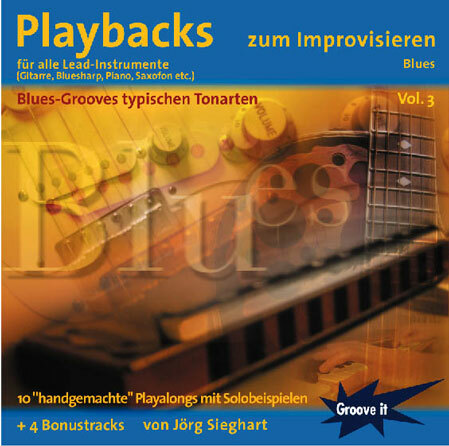 The first bonus track is a Jazz-Blues by Stefan Berker´s CD 'Playbacks for Improvisation Jazz Vol.3 - Jazz Blues' (Groove it / Tunesday Records GI 106). The other 3 bonus tracks are 'bluesy' songs by experienced interpreters: a real pleasure to the ear! Thomas Wohlfahrt: The former Star Search-finalist (Germany) has to fight hard against his 'Casting-Image' these days. 'Testify' proves that he is able to interprete a pensive song with a powerful voice. Are you looking for a great composer of TV- & films music ? So check out music-pictures.com, the website of Hanspeter Kruesi a fantastic composer from switzerland !